Player to watch: Mathieu Joseph - The Point Data-driven hockey storytelling that gets right to the point. A couple of weeks ago, a kid in Tampa Bay who can absolutely fly, caught my eye. He hadn’t scored in his first 10 games of the season and had only 1 assist but watching his clips, I had a feeling he was about to pop. Well, with four goals in his last four games, he has. The disruptive and productive aspect of his skating was evident on his first goal Saturday night. Yes, it took a fortuitous bounce before finding the back of the net but it was his speed, going coast-to-coast, that created the opportunity. What stood out to me after seeing him play a few times was what I found when I looked at a stat I’ve been tracking this season, end-to-end rushes. In measuring how often a player skates the puck from the defensive zone into the offensive zone, we can gain a little more context regarding how well a player transitions the puck, beyond controlled zone exits and entries. 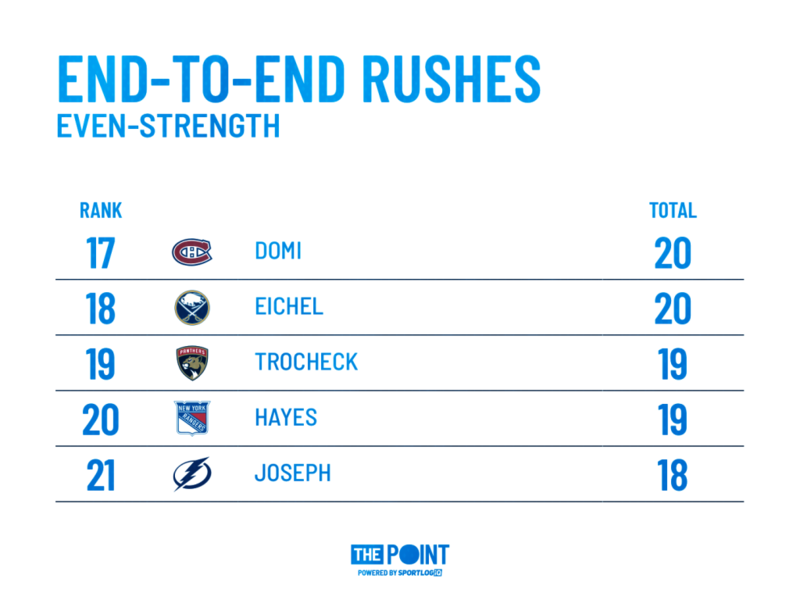 Despite averaging just under 11 minutes of even-strength ice per game, about 4 to 6 minutes fewer than top line forwards around the league, Joseph still ranks top 25 in the league in end-to-end rushes. His comparables, Max Domi, Jack Eichel, Vincent Trocheck and Kevin Hayes – not bad. The even-strength numbers are impressive and so are his totals shorthanded. Despite ranking 6th in penalty kill ice-time amongst Lightning forwards, Joseph is tied for 1st in the league in end-to-end rushes when on the PK with 5. Fittingly, his first NHL point, an assist, came on one of these end-to-end rush while shorthanded, highlighting the complimentary aspect of his speed that Button spoke about. 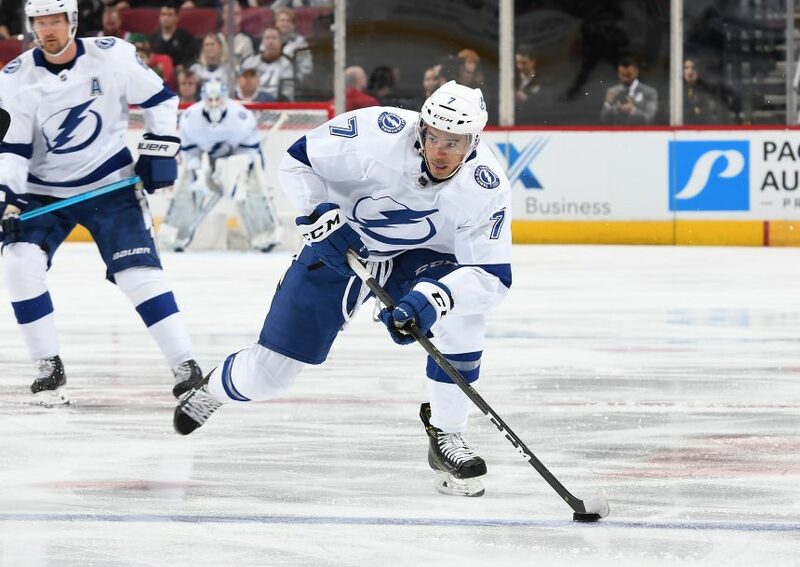 Just 17 games into his NHL career, Joseph has shown he has blistering speed and as he gains more experience and continues to round out his game, don’t be surprised if his role increases at even-strength and perhaps on the penalty kill, as well.